Wizards comeback falls short. Wiz fall to 76ers, 109-102. After posting a 2-7 record through a tough patch to start the season, the Wizards looked to right the ship with an upcoming stretch against five beatable teams. First up, the 1-9 76ers. Instead, the Wizards dug themselves a hole as big as 24 points and lost 109-102. This coming after what was apparently a good few days of practice. Guys, again. Can't stress this enough… this was after what the #Wizards called "two great" days of practice. The Wizards did fight their way back in this one and got the lead as close as three, 103-100 on two John Wall free throws late in the fourth quarter. But Richaun Holmes would knock down a corner three to end the Wizards comeback attempt. John Wall played for just 24 minutes tonight as he is now on a minute restriction when playing in back-to-back games. 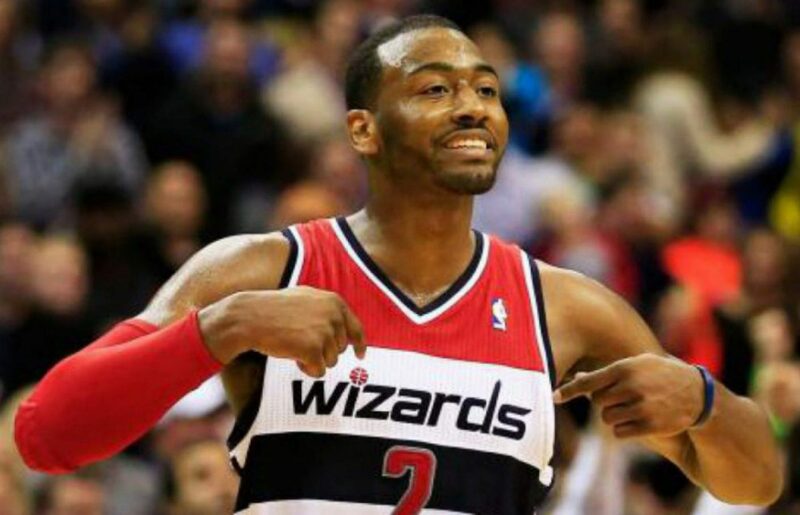 Even in his limited action, Wall posted an impressive stat line of 27 points, six assists, and four rebounds. Wall sat out the entire second quarter after playing for just seven minutes in the first quarter as the coaching staff was saving his legs for the second half. There’s a massive difference for this Wizards team when Wall is out there versus when he’s not. And tonight, the 24-point hole dug up by the bench was too much for Wall to overcome. Sheldon McClellan started for the injured Beal tonight. Interestingly enough, Marcus Thornton ended up getting a bulk of the shooting guard minutes as Thornton played 37 minutes to McClellan’s 20. Regardless, outside of Thornton, the Wizards got next to nothing from their bench once again. Thornton and Satoransky scored 17 of the bench’s 25 points as Burke, Oubre, Smith, and Nicholson were non-factors tonight. The bench is a major issue, and things don’t look to be getting better anytime soon. The Wizards found themselves in an early 29-15 hole to start this game. Things got worse as the 76ers lead ballooned to as large as 24. The Wizards are very thin right now with injuries to Beal and Mahinmi but even so, things don’t look to be getting better anytime soon. The Wizards had an opportunity to get a win against a bad team but instead, came out flat. If the Wizards don’t start winning and soon, things could spiral out of control real quickly. Next postWizards hold off late run by Knicks, win 119-112.